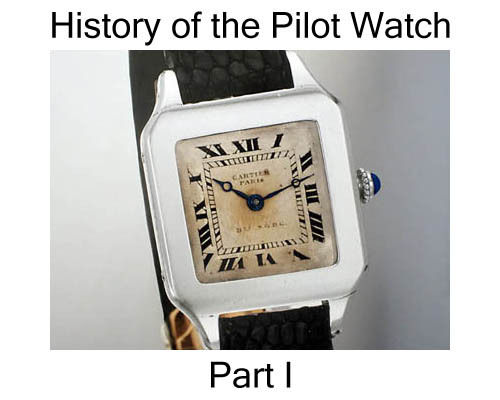 The Wright Brothers and Alberto Santos ushered in the golden age of aviation as well as the Pilot Watch (as we told you in the History of Pilot Watches Part 1), and Louis Blériot assumed their mantle. Once it was possible to fly, newborn pilots raised the goals, and people attempted to do the impossible, like flying across the English Channel. These newly minted pilots, these fledgling birds, having just left the nest, were now trying to write their names in the record books. 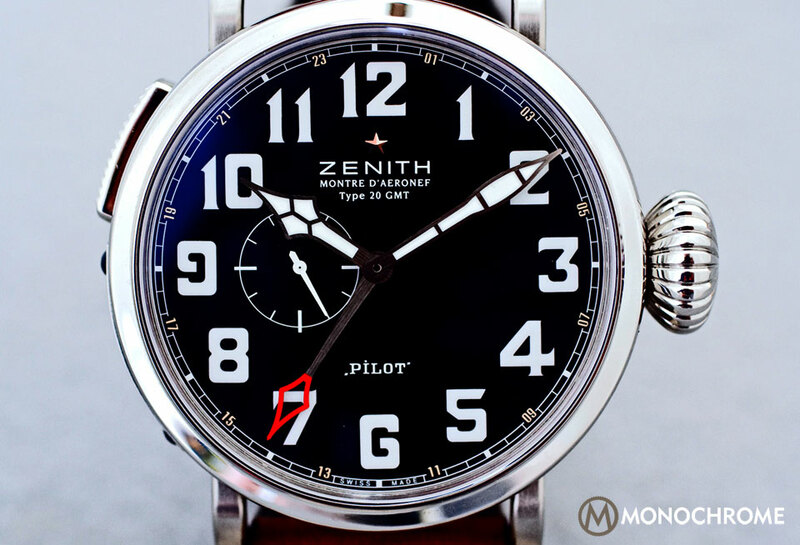 Blériot succeeded, and Zenith was there, forever establishing the fusion of horology and flight. The prize to fly across the English Channel was 1,000 pounds – adjusted for inflation, a tidy sum in any age. The French newspaper Le Matin disparaged the contest by declaring that there was no chance of a pilot winning the prize; the attempt was unreasonable. In 1909 with a Zenith strapped to his wrist, Blériot crossed 31 miles of open water, stretching from horizon to horizon. The flight from Calais to Dover lasted approximately 40 minutes, which he flew at an altitude of 150 to 300 feet. The danger was immense, the thrill enticing and the fame immortal; Blériot was unable to resist. The English set the prize amount fully expecting one of their own, French national Hubert Latham, to win, and indeed all odds were on Latham. Latham’s prior attempt ended with him in the ocean and rescued by a French destroyer. Imagine England’s surprise to find a dashing young Frenchman drop out of the sky and land on their Dover shores. Pounds converted to Francs just fine and made the victory a bit sweeter. Having created the first working monoplane and then perfecting the prototypes, Blériot manned his Blériot XI to fly into epoch-making destiny. Monoplanes lacked the popularity of bi-planes, and some doubted their suitability for flight. Just prior to his crossing the Channel, Blériot’s other plane, the Blériot XII, dislodged some interior asbestos insulation that allowed heat to burn through his shoe, and despite suffering third–degree burns, he kept flying until the plane experienced engine failure and crashed. After this flight, he announced his intention to cross the English Channel. Determination was never a problem. His nickname was the “Crash King”, but with the Channel crossing, he became “the Father of Aviation”. 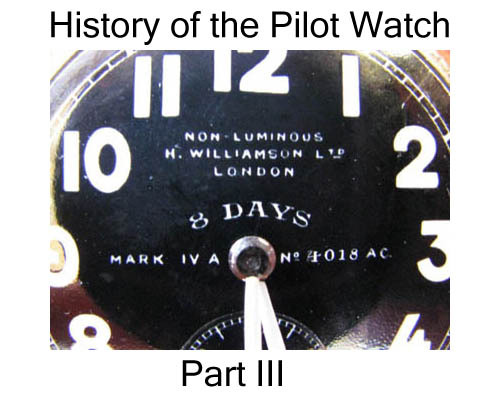 The watch worn for the Channel crossing boasted a host of features that distinguished it as an aviation tool. 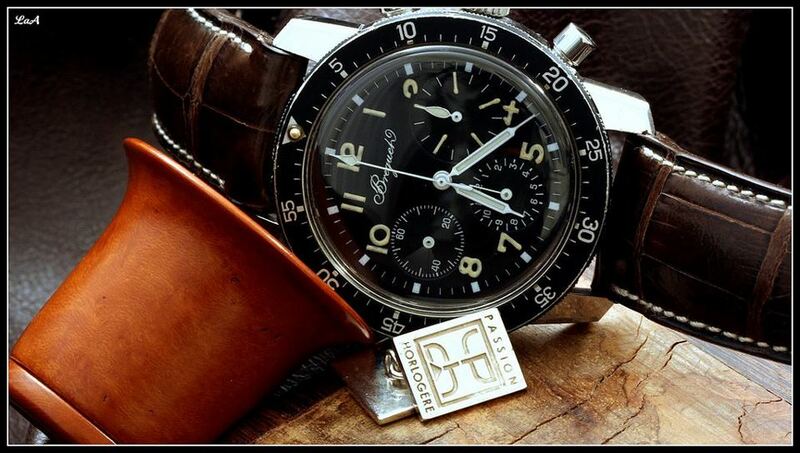 This watch possesses the DNA shared with all future pilot watches. 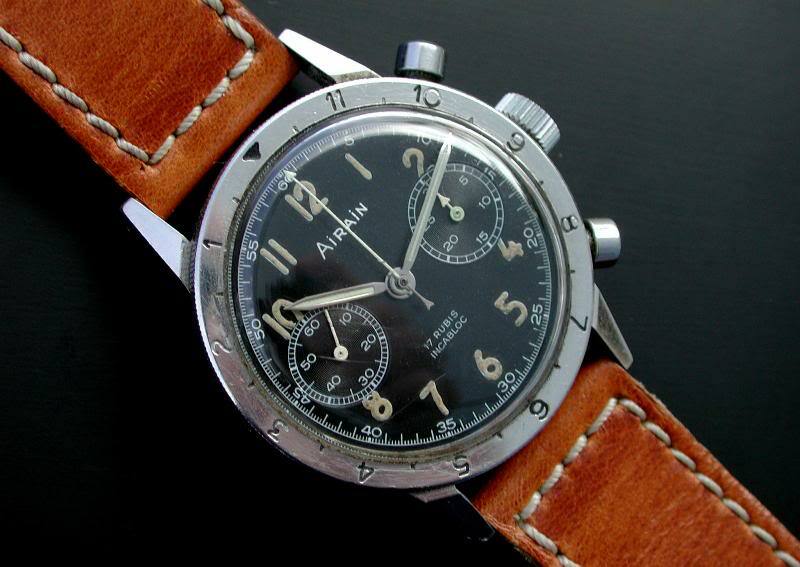 The watch offered features conducive to flying: luminous dial and hands for readability, oversized Arabic numerals, a large crown for turning when wearing gloves, a bi-metallic anti-magnetic hairspring and a case that could be attached to the instrument panel. OK, the last feature is a bit anachronistic, but the pilot cool factor is here at the start. 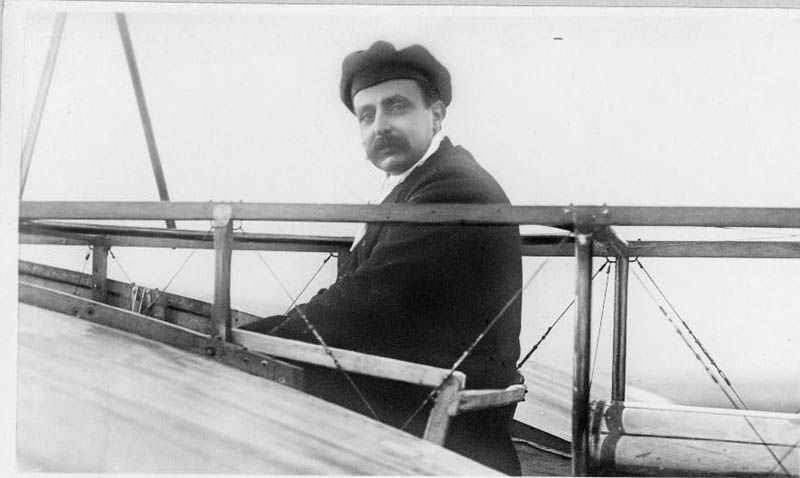 “I am very satisfied with the Zenith watch, which I usually use, and I cannot recommend it too highly to people who are looking for precision”, said Louis Blériot on March 19, 1912. 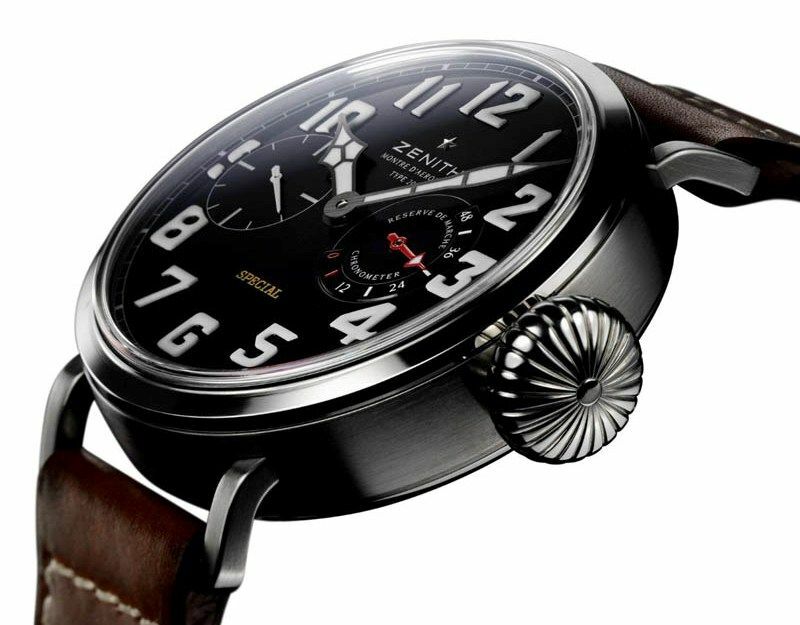 Blériot’s use of a Zenith watch cemented the brand in French consciousness. 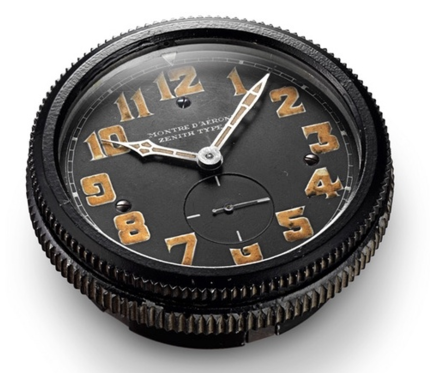 Beginning in 1939, the Zenith Montre d’Aéronef Type 20 was the chronometric instrument for French aircraft. It resided on the instrument panel where its large, luminous numerals were visible day or night. 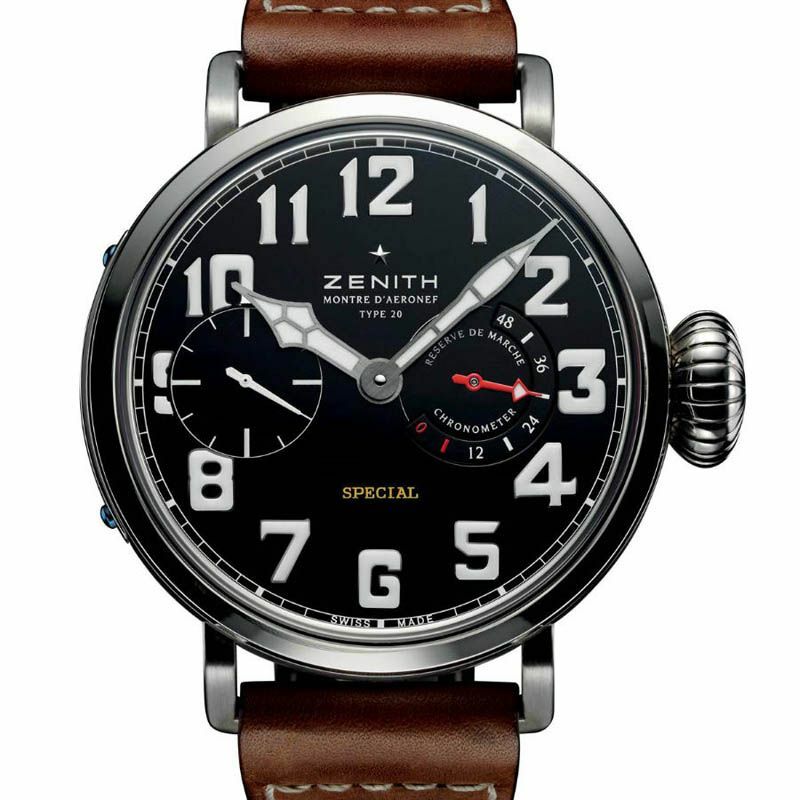 These instruments are the namesake for Zenith’s new Pilot watch. 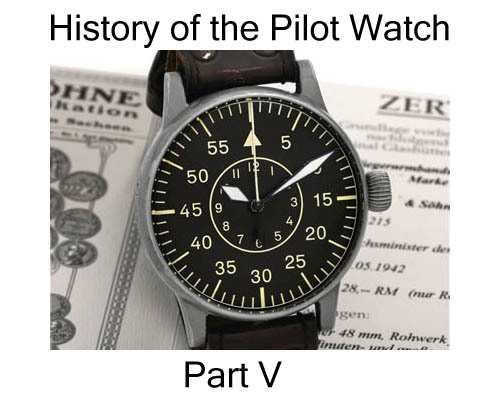 When you have the copyright on the name “Pilot”, you are a watch company with some serious aviation clout. When you have the moniker “manufacture”, meaning that you are a totally integrated company from parts to movements, then you are ahead of the curve. When you have remained in the Swiss town of Le Locle since 1865, then you have an enviable tradition with strong roots. When that company is Zenith, you have all three. 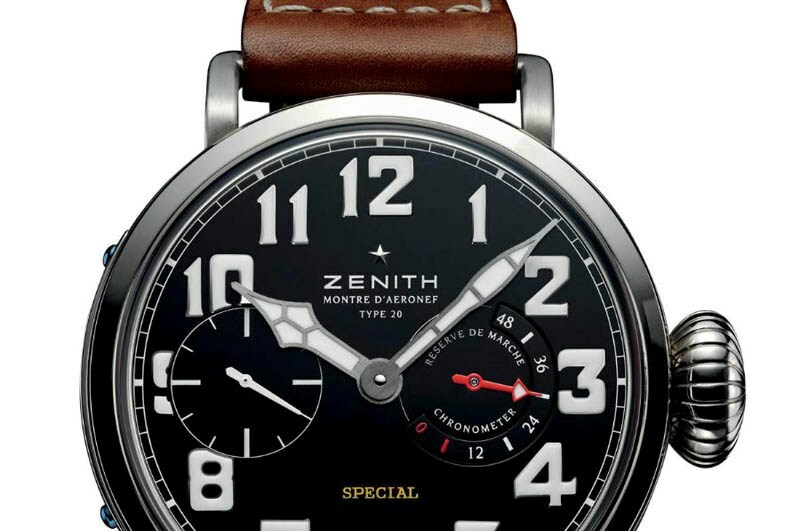 Zenith’s aeronautical prowess, then and now, is about quality timepieces that can withstand the rigors of flight. This company stands as a giant over time. 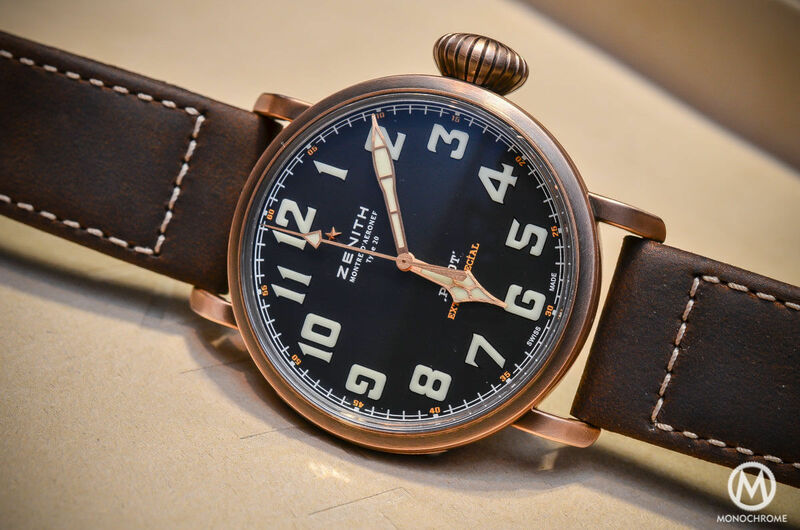 This year Zenith reissued the Zenith Montre d’Aéronef Type 20 as a limited edition of 250 pieces and proceeded to sell out two months before Baselworld 2012, where it was officially introduced. Forget owning one. Still, we get to look. 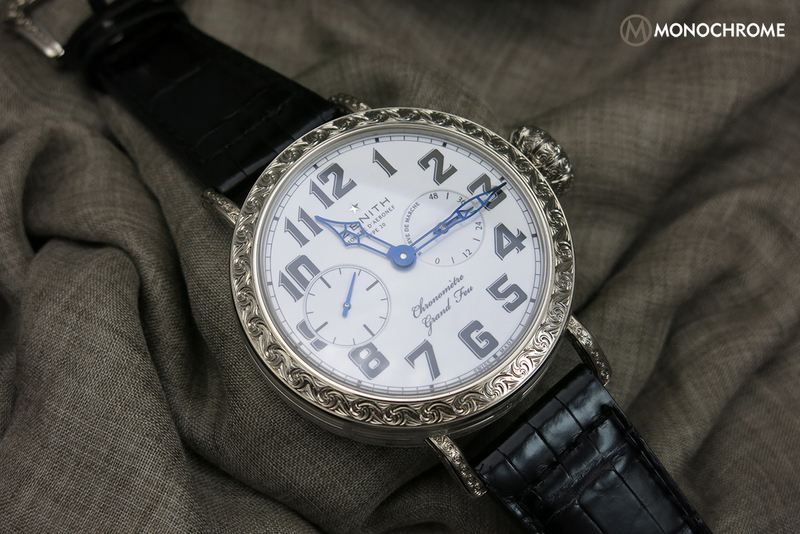 Catching the eye first is the crisp dial, which is a beautiful mix of nostalgia and modernity. It has a special mechanism to stop or hack the seconds while setting the hour hand. Coming in at a hefty 57.5mm, you might think this watch strains the bounds of decency, but to the happy few, the watch is a genuine connection to the past. Notice the over-sized, knurled onion crown, again for aviators to adjust the time while wearing gloves. This watch is a wonder to behold. Besides being sized for instrument panel compatibility, the dimensions harken to the time such watches held pocket watch movements, giving you essentially a pocket watch strapped to the wrist. Thankfully, a titanium case reduces the watch’s weight. In this bad boy ticks the mechanical hand-wound 5011K movement, and with the see-through caseback, you can ogle the 19-jewel behemoth complete with Côtes de Genève stripingacross its rhodium-plated bridges. Zenith began production of the movement in the 1960s, and it has been in continuous production ever since. Did you know that in 1967, the 5011K received recognition as the most accurate chronometer ever tested by the Neuchâtel Observatory? No… well, it did! The watch is not just another pretty face, but instead is ready for active flight status. A 48-hour power reserve, giving two days of power, means that when the watch is detached from the wrist, it is reliable for long distance flights. When you consider the effects of turbulence, the danger of magnetism from modern electronics and the demands of day/night flying, the Montre d’Aéronef Type 20 is good to go. Two shock absorbers reside on the (HUGE) balance-wheel and escapement arbors respectively, and it has a self-compensating anti-magnetic Breguet overcoil balance spring. The raised numerals are made out of entire blocks of Superluminova. Though we have a nod to the past, this watch is a modern marvel. I want one, and apparently so did 250 other lucky bastards who beat me to it. 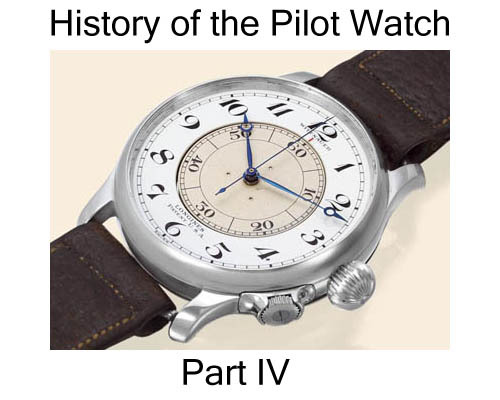 Check out History of the Pilot Watch Part I, III, IV and V by clicking on the images below. I Want This Watch….PRICE PLZ…? As the article already mentions, it is sold out, Raman. When available, the watch sold for $12,800 USD. I know it’s a lot of money, however I consider this an absolute bargain. A great read Frank ! I can tell you the watch is really amazing ! Well, you’re a lucky man. They have sold out extremely fast, so consider yourself very lucky! Stephen – I bought the GMT version. Wear yours in good health! Stephen – I bought the GMT version. Wears yours in good health! 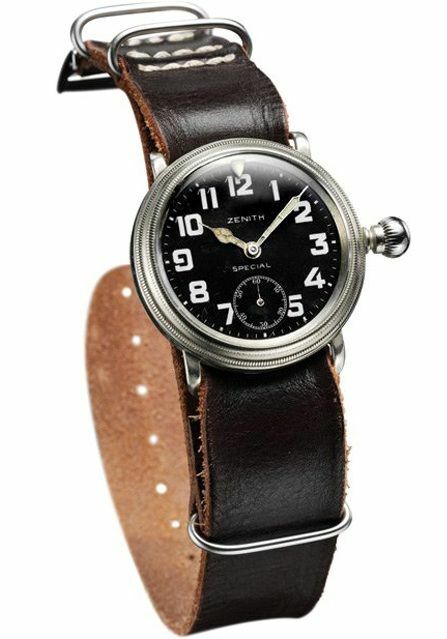 I have a brand new Zenith Pilot 57.5mm type 20 for sale.Please email me if you are interested. I was also one of the lucky 250 who got one. Will never sell this beauty. A fire collectible for sure. Congrats Laurent, you’re lucky to own one of those 250 pieces. A keeper!